How would you like to save $1,000 by setting aside less than $50 a week? As a bonus, it doesn’t even take a year, just 44 weeks. You can start on any week, at any time. All you need is a calendar and a way to easily change your savings deposit amount, either by transfer or automatic savings. This scenario assumes that no accruing interest will be added to the account. So if you have an annual percentage yield, you will earn money as you save. If you don’t yet have a high yield bank account, it would be wise to compare Today’s Savings Account Interest Rates and sign up at the bank that best fits your needs. The first week you start, which ideally would be this week, counts as Week 1. On Friday, deposit $2.00 in your savings account. It’s such a small amount you won’t miss it at all. If you don’t have a savings account yet, no need to fret: the banks listed on the Banks.org Savings Rate Table have zero minimum deposit requirements. Every Friday for Weeks 2 through Week 5, add another $2.00 to your savings account. By Monday of Week 6, you will have a total of $10.00 in your savings account. It’s not a lot, but please don’t spend it. Starting on Friday of Week 6, increase the savings from $2.00 to $5.00. Again, it’s such a small amount that you’ll hardly notice it’s gone. 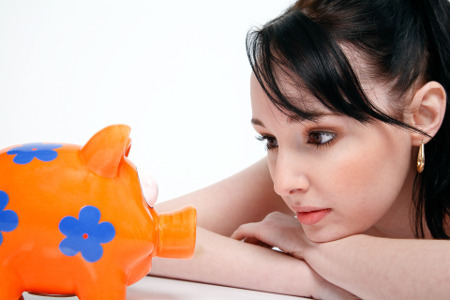 You might even be tempted to spend the $15.00 currently in your savings account. Forget about it and keep saving. On Friday of Week 7, deposit another $5.00, and repeat for Weeks 8 and 9. So far, you have saved $30.00. Since you haven’t felt the pinch of saving $5.00 a week, it’s time to raise the figure to $10.00 per week. Mark on your calendar that every Friday for four weeks, you will deposit $10.00 into your savings account. On Friday of Week 13, $70.00 will have been deposited. So, the pattern continues of raising the weekly savings amount a few extra dollars. For Weeks 14 through 18, deposit $15.00 per week. Week 19 begins with an accumulated total of $145.00 in your Savings Account. Saving $15.00 a week is not a lot, but it adds up. For Weeks 19 through 22 deposit $20.00 in the savings account. Even though you’re depositing more money per week, you’re still only saving $4.00 per day. The amount at the end of Week 22 will be $225.00 in savings. With 22 more weeks to save, you’re halfway to reaching the goal. Keep continuing the savings pattern for Weeks 23 through 26, depositing $25.00 per week into savings. You’ll have added an additional $100.00 to savings. Raise the amount again and deposit $30.00 for the next five Fridays. By the beginning of Week 32, your savings account balance is $510.00, so you’re more than halfway there! Schedule $35.00 as a weekly deposit for Weeks 32 through 35, and $40.00 as a weekly deposit for Weeks 36 through 39. Your monthly savings amount keeps building. The balance is $820.00 as you enter the final five weeks of savings. For each of your final five weeks, Weeks 40 through 44, you’ll deposit $45.00. After the Friday deposit on Week 44, you’ll have saved $1,000. Congratulations! A savings habit that began with a tiny $2.00 weekly amount has taken less than a year to reach the goal. If you’re inspired to save past your $1,000 goal and you keep depositing $45 every Friday, then by the end of 52 weeks, you’ll have saved $1,360. By the end of 67 weeks, you’ll have over $2,000 saved. After 244 weeks (4 years and 36 weeks), you’ll have saved $10,000. That’s without any accruing interest. If you put that ten grand in a 1% APY savings account and continue with the weekly $45 deposits, you will have a whopping $35,652 after 10 years! Find a High-Yield Savings Account to park your funds, set up an automatic weekly savings amount, don’t spend it, and you can reach your financial goals.